Art revolutionary Nelson Diaz has just completed his sixth $1 auction on eBay. 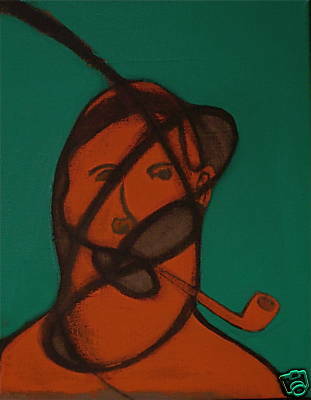 The latest installment of Self-Portrait with Pipe, 2008 sold for an appropriate $203.50. I know who bought it, and I’m happy that it wound up with a collector who will enjoy the work of art. This sale, essentially, met Nelson’s two most important criteria. 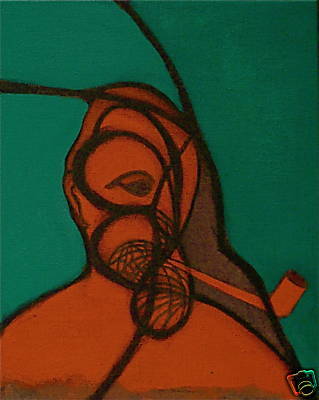 The painting had to sell for less than $300. 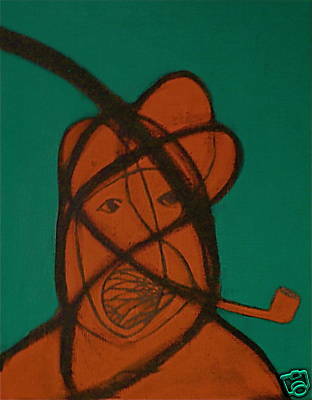 And, it had to sell to someone who would enjoy the piece rather than view/treat it as a commodity. This buyer addresses both. This week, Diaz is stepping up the pace a bit. He has put three paintings up on eBay, all with the starting bid of $1. After this week, there will only be one chance left to purchase a Nelson Diaz original from this series. I’m not pitching, just stating fact. Here are the latest from Nelson, with links to help you participate in this new movement. For a change, art is defining history rather than merely recording it! 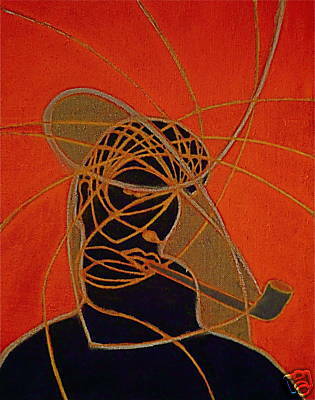 This entry was posted in Media, New York and tagged Art, Artist, Auction, commodity, eBay, Francis Bacon, Manhattan, market, Nelson Diaz, New York, Pipe, Smoking, SoHo on July 21, 2008 by Tom.